In the Spring a young man’s fancy lightly turns to thoughts of…golf? (Apologies to Alfred, Lord Tennyson). 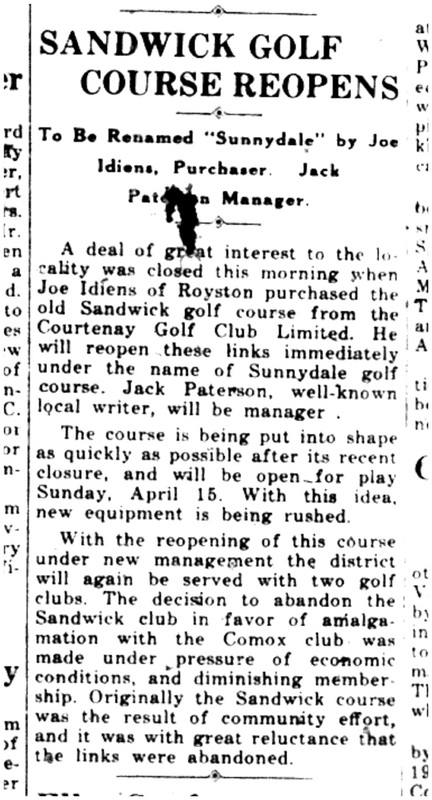 A shake up in our local golfing world was making the news as evidenced in this April 12, 1934 edition of the Comox District Free Press. Thank you to everyone who came to our “Spring Fling and Easter Things” event on March 28th. It was a huge success with over 650 visitors. Special thanks to the Shamrock Gumboots 4-H Club for bringing all their adorable and well-behaved animals, to the Hot Chocolates Easter bunny for sweet treats and to Gillian from Detailed Face Painting for creating some amazing works of art on delightful little faces. Proceeds from this day are shared between the museum and the Shamrock Gumboots 4-H Club. To the Shamrock Gumboots 4-H Club and staff and volunteers who arranged this special day—we say thank you! 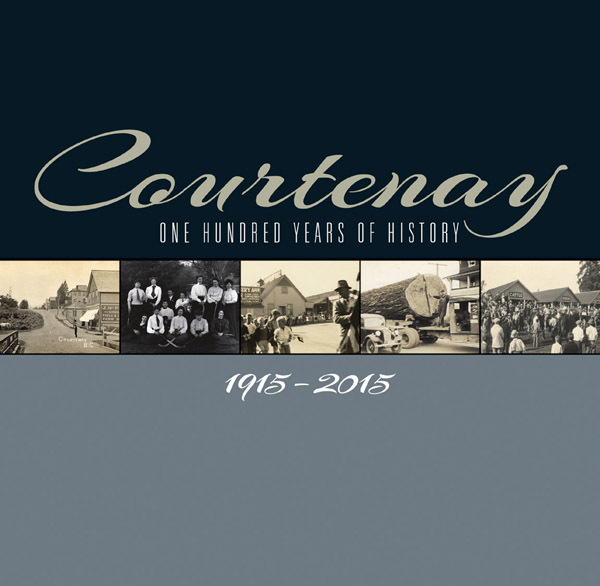 The Comox Valley Echo and the Courtenay Museum have teamed up to produce a Courtenay Centennial keepsake, a 50 page full colour magazine featuring museum and community images and historic stories. Local authors Ian J.M. Kennedy, Rick James, Judy Hagen and Christine Dickinson along with museum staffers Catherine Siba and Deb Griffiths have produced a keepsake magazine, Courtenay 100 Years of History 1915-2015 as a tribute to the Centennial Year. “We say thank you to the Echo who have given generously on this project and done a great job and to the many businesses who have advertised. The proceeds from Courtenay 100 Years of History will go to museum programming,” said John Wilson, President of the Courtenay and District Museum society. With stories about Downtown Courtenay, Joseph McPhee, Sub-Chasers on the Courtenay River, community celebrations, early transportation and more, the five dollar magazine is something to take home from centennial celebrations that will be happening throughout the year. They are available at the museum and at the Echo, and will be available throughout the year-long celebrations. For more information contact the museum at 250-334-0686. The gift shop has a new look courtesy of a gnarly, old apple tree. Come and check out this fun-for-spring centerpiece along with fresh items in stock including a beautiful variety of friendship glass balls and colourful fused glass lighthouse and sailboat wind chimes. Decorative sailboats, nautical photo frames and keepsake boxes make great summer gifts. Local artist, Stephanie Gould, just brought in a new collection of her colourful diffused glass jewelry. 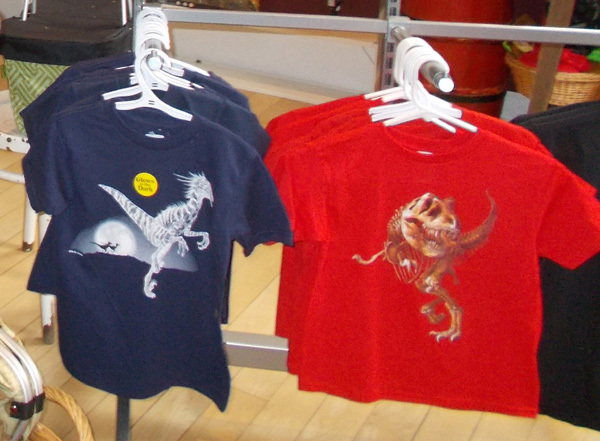 And, for the kids, new glow-in-the-dark dinosaur and fossil T-shirts take a gift’s fun factor to the max. Don’t miss the Cumberland Museum’s new book, Cumberland Collieries Railway by Patrick O. Hind that we now have in the gift shop. This much-needed book that helps fill in the Comox Valley story is a great read. Museum members receive a 15% gift shop discount on most items and all museum sales go towards the museum’s year round programming. Thank you for your support. The April 16, 1914 edition of the Courtenay Review reveals the origin of the name of the Condensory Bridge. The former Mill and River Streets make up today’s Anderton Avenue. The Courtenay Milk Condensory ceased operations in spring of 1920 and the building was destroyed by fire soon after.